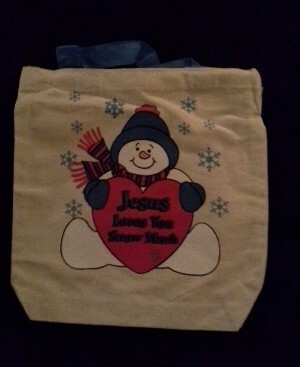 Cloth canvas bag features a snowman figure that reminds the one who receives it: "Jesus loves you snow much!" Perfect to give special Christmas gifts. Measures 8" x 8"